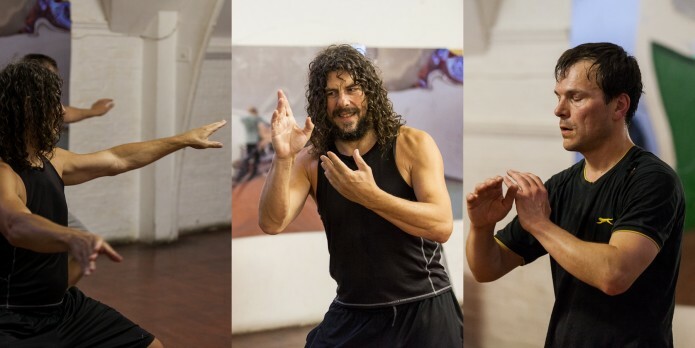 After an energetic training session in our martial classes, we cool down by performing the Tai Chi hand form. Taking 15-20 minutes to perform in total, the slow movements effectively perform the function of a therapeutic warm-down, encouraging the muscles and joints to move through their range of motion while operating at a reduced intensity. 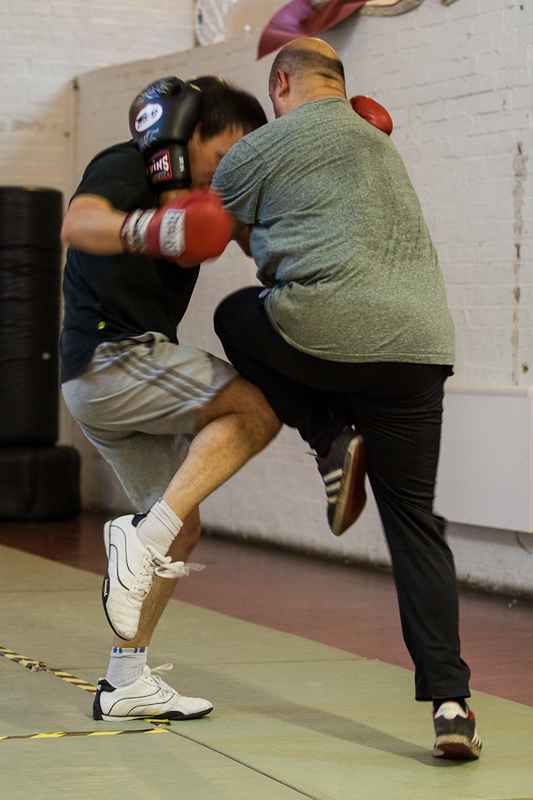 Meanwhile, one gains all the other benefits of practising the hand form – one works through an efficient template of the style’s martial movements while training balance, co-ordination and focus. 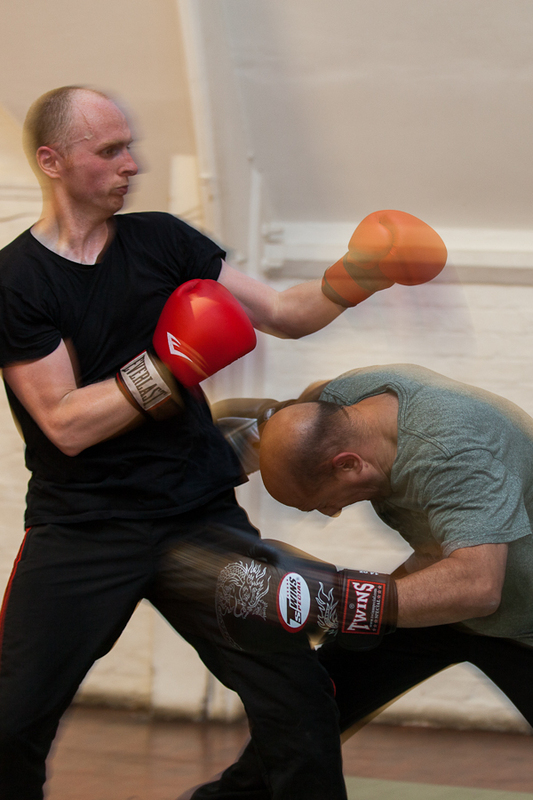 The tiredness experienced after expending energy in pushing hands practice and sparring also helps encourage relaxation and use of minimum muscular tension, which also benefits one’s practice of the form. 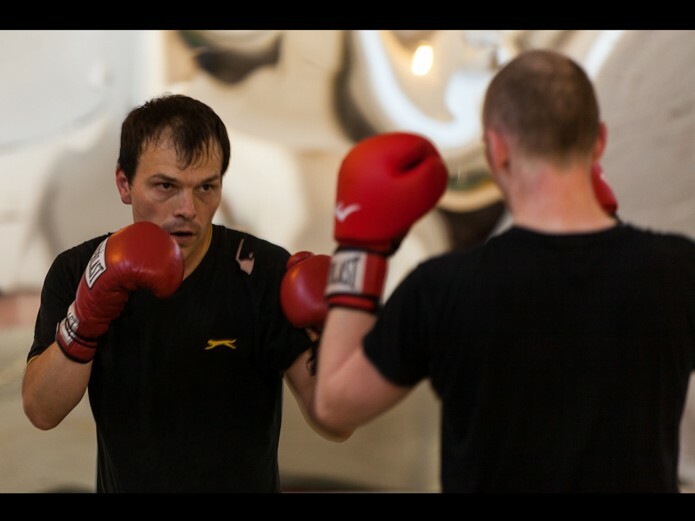 Below are some photos taken during a martial class (photography by Steve Musselwhite).